I’m only having a body, a pair of hands and legs so it is highly impossible for me to finish off these amounts of NIVEA products. 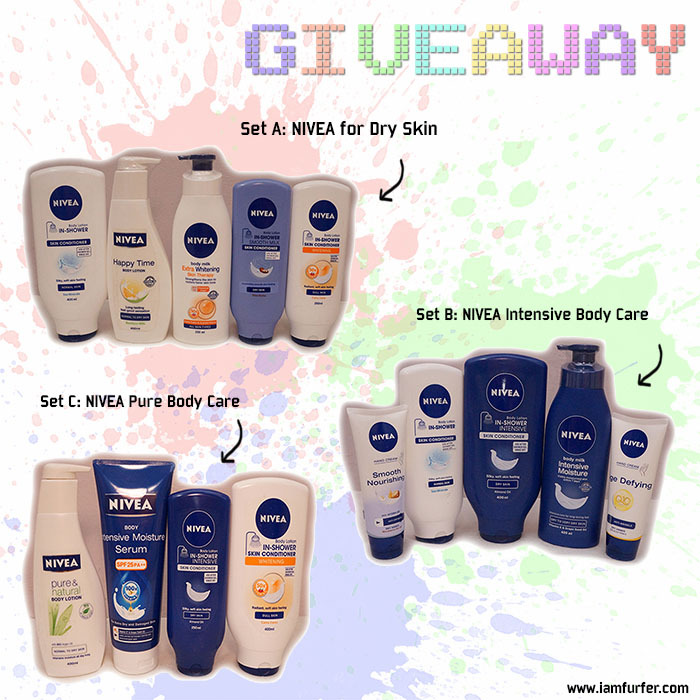 Therefore, I am giving away THREE sets of NIVEA products to THREE lucky readers. It’s pretty simple to win these, just complete all the steps below and you might be the lucky ones! All winners will be receiving one of In-Shower Skin Conditioners in their chosen set. If you have no idea what is In-Shower Skin Conditioners, read out more details at my review HERE. Giveaway is open to Malaysians only. Prizes are strictly refundable and non-exchangeable. Account setting of entries must be in “Public”. Winners are required to pay for Postage Fee. Entries must be completed in full details. Entries with incomplete details will not be accepted. Contest closes on 11:59PM, 10 October 2014. Thanks for the support Janice! Constantly peeling everywhere from head to toe, hopefully Nivea can be my saviour and i would also like to try their inshower lotion! 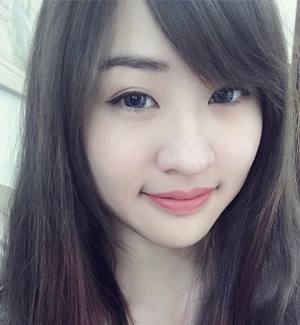 Thanks for joining the contest babe! I would like to win set C because I tried Nivea dry skin series, not much changes & I decided to try on Nivea Pure Body Care because it contain serum that actually give more moisture compare to moisturizer! i would like to win set C because the combination of body lotion, body serum and in shower skin conditioner will make my dry skin deeply moisturize without stickiness discomfort. Other than the goodness in every single item, i love the Nivea signature fragrance and whitening properties which is exactly what i need for my skin. Hey Tenshi, thanks for the support but which set would you like to win yea?